Timothy Omundson’s Stroke: What Happened to Timothy Omundson? Last night, on December 7, pop culture’s much-awaited event happened. Everyone’s favorite show, Psych, was revived into a movie. But fans saw very little of one very important character, namely Lassie. Timothy Omundson’s role as Carlton “Lassie” Lassiter was a fan favorite on Psych throughout its eight-season run. And “psychos” love him even more after the series finale ending. But Lassiter had a disappointingly short screen time on Psych: The Movie. So, what happened to Timothy Omundson you ask? As it turns out, Omundson had a very valid reason to sit out of Psych: The Movie. He suffered a stroke and is currently recovering. Here’s an update on Timothy Omundson’s health. Psych: The Movie brought the whole crew together. Shawn (James Roday) and Gus (Dulé Hill) have started their new business they aptly named “Psychphrancisco.” Things happen, and the whole fake psychic team is back in business. Maggie Lawson, Kirsten Nelson, Corbin Bernsen, Ralph Macchio, and John Cena reprised their old roles for the movie, which was directed by series creator, Steve Franks. Omundson was also slated to return, but we see him in a very tiny shot halfway through the movie. Omundson was originally on board for a much more prominent role in the movie. However, he suffered what psychos now call “a wee touch of the stroke” in May, around the same time that plans for the Psych revival were announced. According to reports, the 48-year-old suffered a stroke at Tampa International Airport. He was then rushed to the hospital for surgery. 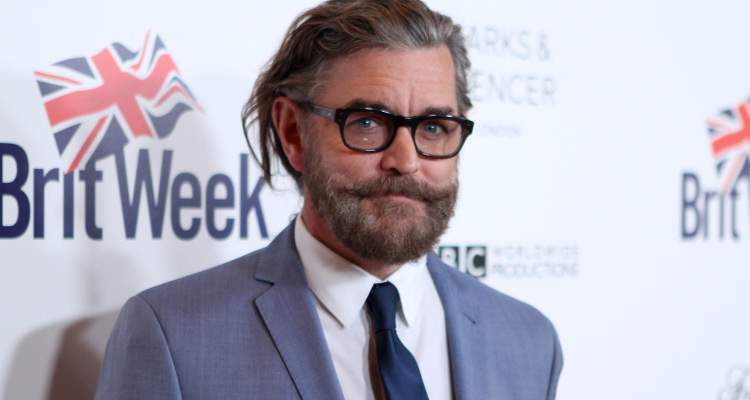 Omundson is well on the path to recovery. He has tweeted several times about his progress and is currently doing well in rehab. And, his latest tweets tell us he enjoyed Psych: The Movie like all of us. Soon after Omundson’s health scare, Psych writers scrambled to rewrite his part in the movie by keeping the integrity of a beloved character and accommodating his recovery schedule. His health obviously took precedence, and his role was reduced to a brief appearance. Nonetheless, Omundson’s small cameo appearance was important. Detective Juliet O’Hara finds herself in a pinch because of some unethical dilemma. With bad guys after her, she makes a call to a dear old police chief. The only way we see Lassiter in the movie is through a video chat, lazing stylishly in his office, saying that he’s not Juliet’s “priest” but cops aren’t “saints” either. So, that trademark dry humor does make Juliet feel a little better. Lassie also advocates getting “creative” in getting the bad guys off the streets. And, we know he’d go to any extent for that, including keeping the secret of a fake psychic for the greater good. He signed off with some typical Lassie love-hate words for Shawn. The small yet poignant scene with Lassie could’ve reduced us to tears if not for his undying sass. For the old cast, it was a bittersweet moment stepping on set without Omundson. Omundson’s cameo was shot after the movie had wrapped. Franks has taken a cue from the Fast and Furious franchise and is planning five more Psych movies. He is already counting on Timothy as an excuse to make a second movie. There’s no word as to when they will start filming the next Psych movie, but we can hope for Lassie and his classic suspenders to make a full comeback by then.